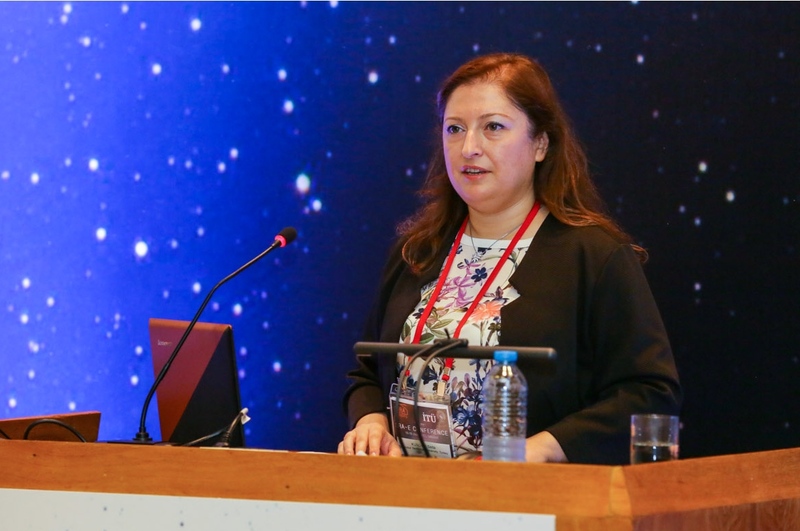 The SRA-Europe 2014 Istanbul Conference hosted 259 participants not only from Europe and Turkey but also from Australia, Canada, Chile, China, Iran, Japan, South Africa, Taiwan and the U.S.A. About 70% of the participants were academicians and 15% were affiliated to researches institutes. The representatives from governmental bodies and private entities had a share of 15%. During the conference, three plenary sessions, 13 symposiums and 27 parallel sessions were organized; 163 papers and 16 posters were presented. The conference started with a welcome reception in the courtyard of conference venue, Taşkışla Building. Participants enjoyed Turkish food and the amazing atmosphere of the 162 year-old building. The scientific program of the conference was enriched by the valuable contributions of Ortwin Renn (University of Stuttgart), Juergen Weichselgartner (University of Kiel), Louise K. Comfort (University of Pittsburgh), Mustafa Erdik (Bogazici University), Scira Menoni (Politecnico di Milano) and Richard Eiser (University of Sheffield) during the plenary sessions. The most emphasized topics in the SRA-Europe 2014 Istanbul Conference were risk perception and risk communication where the participants assessed and discussed community’s behavior on risk related issues with the recent triggers (climate change, nuclear accident in Japan, energy etc. ); and innovative approaches to enhance risk dialogue among stakeholders to contribute risk governance. Food security was another highlighted topic referring the safety gaps in production and processes, susceptibility to chemical and radioactive contamination; and consumer responses to new technologies. The sessions on urban and structural risks addressed risk assessment in urban areas and mitigation methods in different case studies. 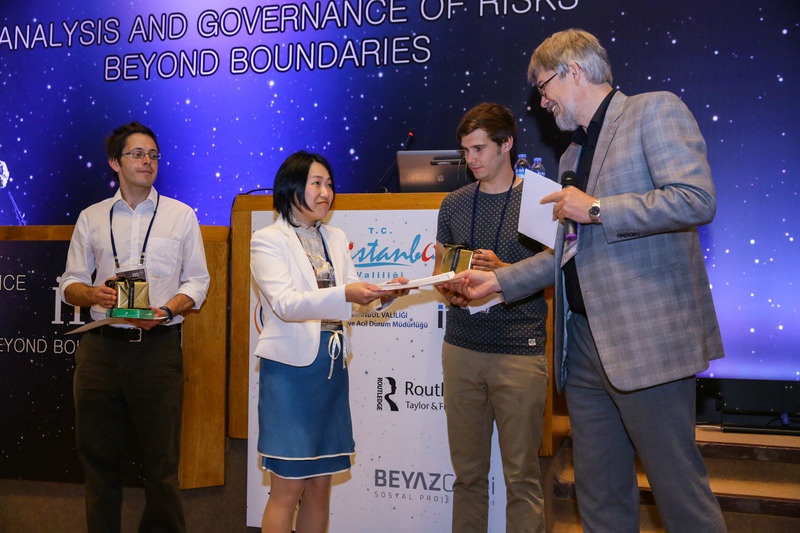 The poster session on Monday was accompanied by a reception, which was sponsored by the Journal of Risk Research. After voting for the best poster award, participants enjoyed the oriental cover of most famous soundtracks by street musicians, Metrostrings. The SRA-E student scholarships were awarded to Nicolas Rossignol (University of Liège, Belgium), Nick Boase (University of Exeter Medical School, U.K.) and Etsuko Yoshida (University of Tokyo, Japan). They received a contribution worth 750 euro to their conference expenses. The “Best Poster Award” was presented to Ateda Khadijah Isimekhai, John Watt, Hemda Garelick and Diane Purchase for their poster entitled “Environmental risk associated with improper e-waste activities in Lagos, Nigeria”. 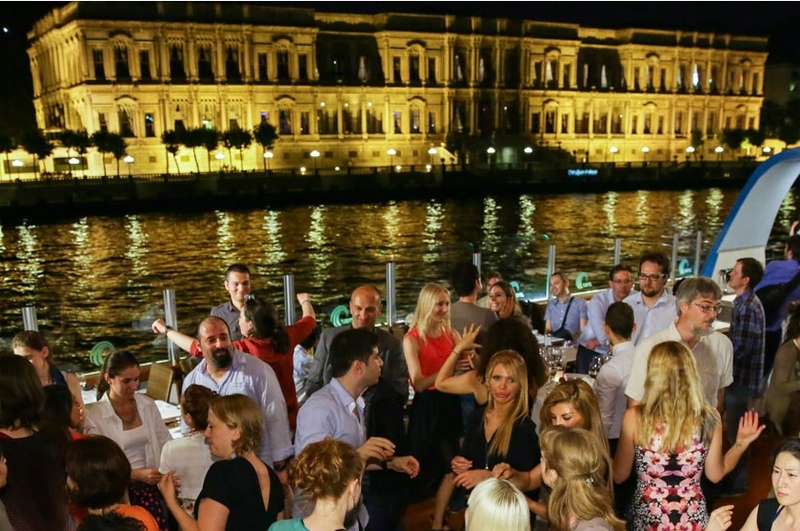 The conference dinner took place in the largest floating restaurant in Turkey where participants tasted delicious Turkish food and spectacular view of Bosphorus in the sunset and the night. In 2015, the SRA-Europe Conference will be held in Maastricht, the Netherlands with the special theme: “Science, Policy and Society: Bridging the gap between risk and science”. The other focal risk topics (i.e. science-informed risk decisions, evidence and risk) will also bring insights in risk issues to complement disaster risk reduction.